Watch The Entire First Season Of STAR WARS REBELS For Free !!! | Warped Factor - Words in the Key of Geek. Watch The Entire First Season Of STAR WARS REBELS For Free !!! Here's a nice little treat from the good people at StarWars.com, the first season of ‘Star Wars Rebels’ is available for free through May the 4th! Set five years before the events of Star Wars: Episode IV A New Hope, Star Wars Rebels tells the story of the Rebellion’s beginnings while the Empire spreads tyranny through the galaxy. 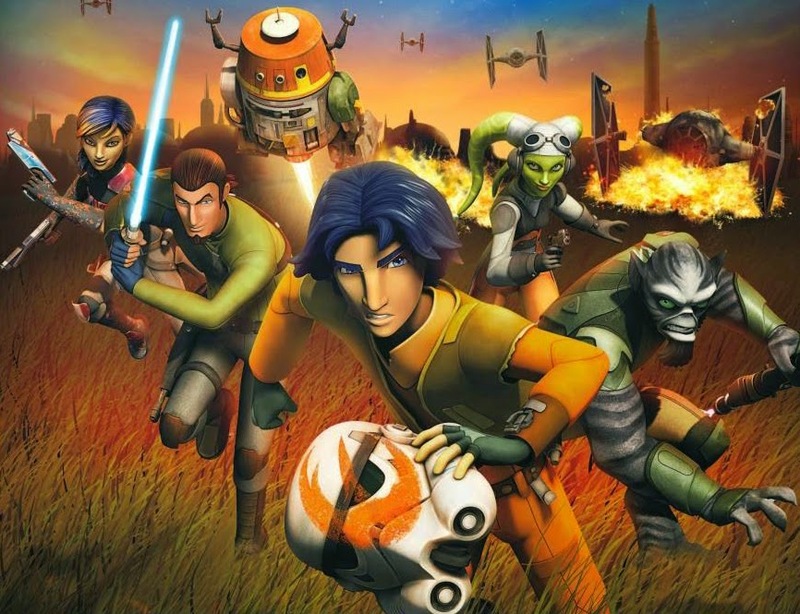 The first season aired on Disney XD, and season 2 is already on its way (beginning June 20th with a special titled “The Siege of Lothal”, with the rest arriving later in the year), but if you missed an episode or if you've yet to catch up with this awesome animated show then you have a small window of time to binge watch them all for free! Head to the Videos page of StarWars.com, scroll down and you're discover links to watch all 13 season 1 episodes for free (applies to certain geographical locations only, but... *cough*proxy-server*cough*). May the binge watching force be with you!